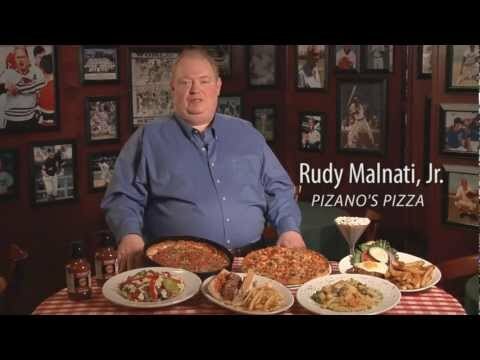 Rudy Malnati Jr. continues his father's l egacy in Chicago with Pizano's Pizza & Pasta, which he opened in 1991 with Rudy Malnati Sr.'s original recipe. The restaurant chain specializes in a signature thin-crust pizza as well as deep-dish pies. There are six Pizano's Pizza & Pasta locations, including one in Milwaukee. The Chicago Loop venue is situated on Madison Street, which is only a few blocks away from bustling Michigan Avenue. It's also in the heart of the theater district. The menu is loaded with classic appetizers you may indulge as you wait for the main event. Choose from fried calamari, cheesy garlic bread, chicken wings and toasted ravioli. There are also nice choices for salads, including the signature meatball option topped with Mama's meatballs, garbanzo beans, black olives, tomatoes, pepporcini and parmesan. In addition to Pizano's thin-crust pizzas--which Oprah named the #1 thin-crust pizza in Chicago--and deep-dish pies, the restaurant offers traditional Italian dishes (chicken parmesan, Pauli's chicken vesuvio, Frank Gallo's "Hole in the Wall" chicken cacciatore), house-made pastas and sandwiches.